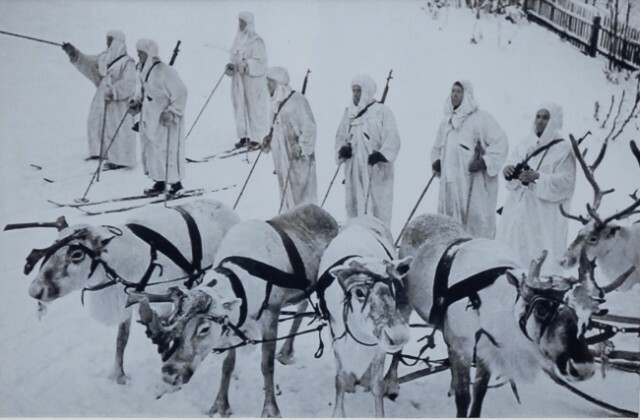 The Petsamo-Kirkenes Offensive in 1944, which led to the expulsion of German forces from the northern regions of Norway, would have been severely hampered had it not been for the role of the Soviet army’s Reindeer Battalion. This remarkable unit was an integral part of the Soviet Union’s success during the campaign. 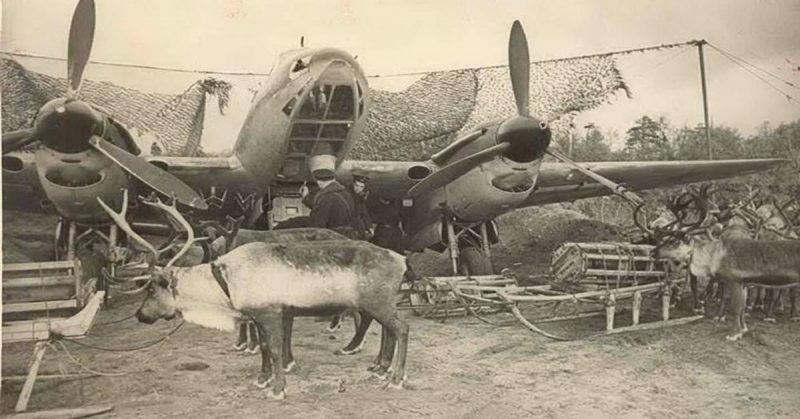 While the reasons for its essential place within the offensive are sometimes subtle, the importance of the Soviet’s reindeer shouldn’t be underestimated. An armistice between the Soviets and Finns gave the Petsamo region back to the Russians with an additional agreement that Finland expel the German occupation. Germany had no desire to leave, of course. Their interest in the area had to do with nickel mines that they needed to produce armor plate. It was also a strategic position for guarding against Allies along the coast of Norway. When they did prepare to move out, they were delayed because Hitler specifically requested that they remove everything – all supplies – from the region. The move would take a long time due to the lack of roads in an incredibly remote locale and terrible environmental conditions. Meanwhile, in Russia, officials were growing impatient and had begun preparing for an offensive. They had amassed ski troops, amphibious vehicles, airplanes, tanks, naval infantry, and 30 engineer battalions. Their secret weapon, though, was the reindeer battalion. When the Soviet Union was established, their constitution and laws exempted the indigenous peoples of the far north from conscription into the Red Army. This was due in part to their not knowing the Russian language, but it was also done to preserve the integrity of their culture – to maintain their way of life. These considerations were put aside during the Winter War, however, when Soviet forces needed soldiers that understood the harsh terrain and severe weather they faced. Russian officers soon noticed that the reindeer herders were far superior to Soviet soldiers in these remote and harsh environments. Furthermore, the animals they worked with were far more suited to the terrain than horses and military vehicles like tanks. Reindeer can pull an incredible amount of weight – up to 110 pounds on a sledge – making them incredibly effective for transportation. When multiple reindeer pulled a sledge, they could haul 650 pounds, allowing the army to move artillery and a great deal of ammunition. They could sustain this weight for 20 miles over eight hours. 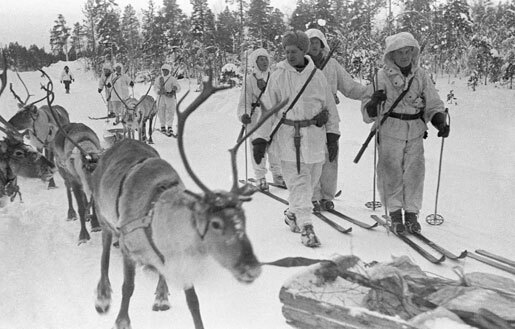 The first three army reindeer transport groups (called ‘raida’) were assembled in 1941 when the Soviets established their Karelian front. The reindeer army originally numbered only 1,015 reindeer and 77 herders, but by 1942, their numbers had swelled to include 11,015 reindeer, 15 dogs, and 1,477 men divided into five battalions of the 14th Army. The original group was from the Saami tribes in the Kola Peninsula, but the reindeer units as a whole were formed from a patchwork of different indigenous populations. To get to the areas in which they were supposed to start training, most of them had to travel more than 1200 miles by foot and by train. Reindeer can only travel 30 miles a day and must rest every four days. The reindeer were not suited to the trains, becoming sick and hungry. They were forced to stand for three to four days and were not proper food. When they arrived for training, they were in a weakened state, and so hungry that some escaped to find food. As their training went on, many of the indigenous herders were frustrated with the Soviet soldiers, many of whom disliked the new units. To the reindeer men, the soldiers appeared ignorant and lacking the same skill in fighting that they themselves possessed. Russian officers were often abusive and rude to the herders, and would insinuate that the new recruits were animals themselves. Tensions often ran high between the two factions. The Russian command decided early on to break the reindeer men up into small groups, ordering them not to communicate with the other squads. They were threatened with violence should they disobey, or attempt to leave the army. However, there were a few Russian officers who took an interest in the indigenous people and attempted to learn their languages. The Russians were awful at dealing with the reindeer and their herders, and so the small number of officers who could communicate reasonably well became a vital link in the chain. During the Petsamo-Kirkenes Offensive, German forces fled the oncoming Soviet troops. They lacked supplies and equipment, but by destroying bridges and blocking roads in their wake, they managed to stay just ahead of their pursuers. The Soviets, in turn, would try to get ahead of them with amphibious landings, while blocking off certain roads and channeling them in various directions. This cat-and-mouse game continued throughout the campaign. One major advantage for the Russians, however, were the reindeer. They were able to move supplies and carry essential orders, wounded soldiers , and vital equipment. They could even swim to and from vessels that were not able to reach the icy shores. Without their reindeer battalions, the Soviet troops might never have come close to catching up with the retreating German forces. The reindeer men were proud of the reindeer, and of their role in the offensive. The reindeer were far superior to Russian horses and armored cars, and were often unperturbed by the sounds of exploding shells. The herders themselves were a great asset, and even as the overall campaign proved largely unsuccessful in capturing the fleeing German soldiers, they proved their worth time and time again. In the end, the majority of the enemy’s forces managed to escape. The Russian troops suffered regular problems with their own supply lines, and the Germans’ tactic of destroying the bridges behind them hindered their pursuers still further. When the reindeer units were subsequently demobilized, the men refused to use the trains again. Instead, they left a large portion of their sledges and equipment in the Pasvik River Valley at the border of Norway and Russia. They believed that boats were dangerous, so they instead set out on foot around the White Sea, arriving in their home territory a full eight months later. The reindeer they left behind mixed with the local reindeer populations. These hardy beasts are still prevalent today in the area, and their progeny still bears their strength. The reindeer of the Pasvik River Valley now weigh twice as much as other reindeer in Norway.